The Best Platform To Grow Your Earnings. Pay Less. Fixed Fares. No Surprises. Smartzi is set up to be the cheapest every day option - no matter if you pre-book or order on demand. Check our pricing calculator but keep in mind we let our drivers set their own rates – so you should pay even less. Your price will be fixed and set before you ride – no surprises and no surge pricing. Book your Smartzi in just a few seconds! Using the Smartzi App there will never be any surprises, because of our fixed fares you know exactly how much the ride is going to cost. There will be no charges for cancelling. Smartzi is fixed fare based and will not charge you anything more than agreed on when ordering your ride. No cancelation fees are in place. Smartzi is a company that mediates between travelers and providers of passenger transport. 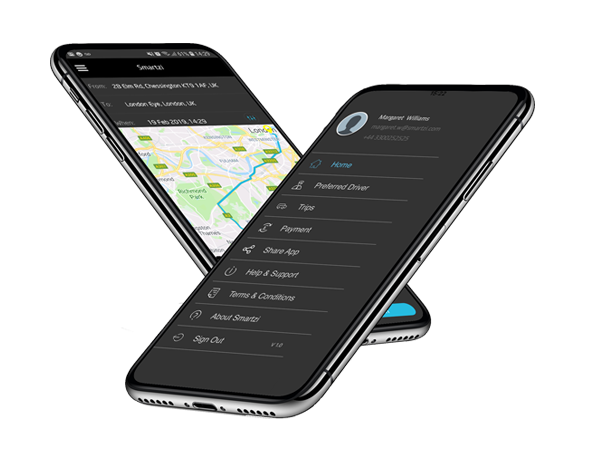 Smartzi is created to give their drivers a fair chance on creating their own customer network. © 2019 Smartzi Ltd. All Rights Reserved.